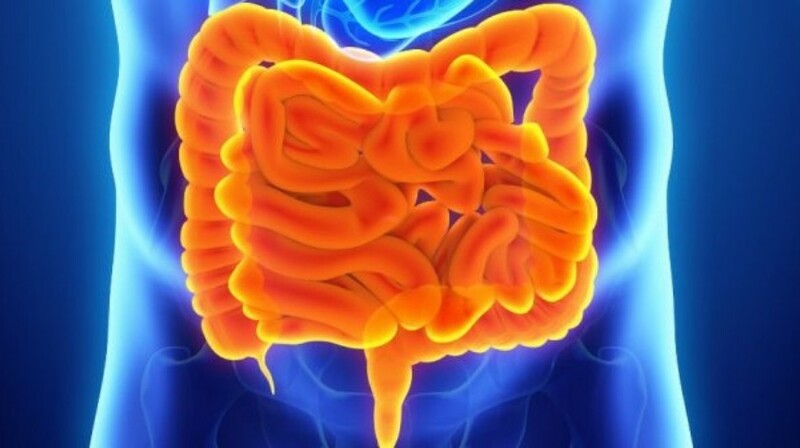 Avelumab is a human anti–PD-L1 IgG1 monoclonal antibody that has shown antitumor activity in early-phase studies of patients with advanced or metastatic gastric cancer/gastroesophageal junction cancer (GC/GEJC), including a subgroup who received avelumab as first-line (1L) maintenance therapy. Here, we describe the design of JAVELIN Gastric 100 (NCT02625610), a randomized, open-label, Phase III trial. 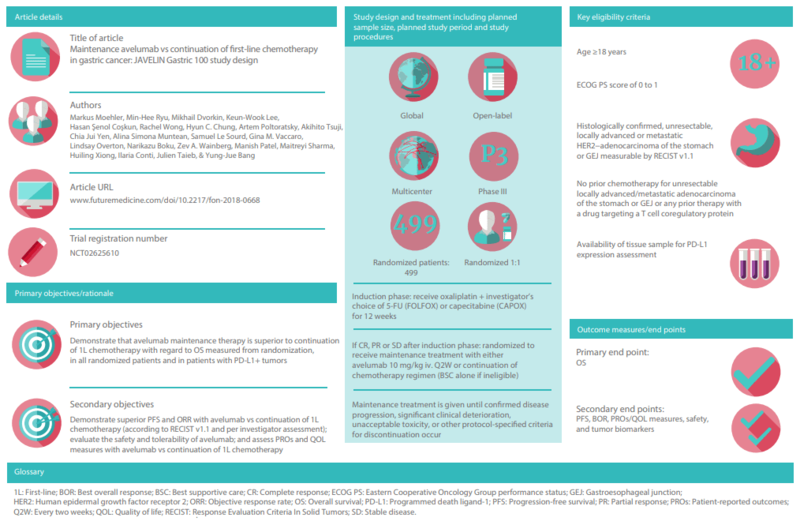 Approximately 466 patients with locally advanced/metastatic HER2− GC/GEJC adenocarcinoma, who have achieved at least stable disease following 12 weeks of treatment with 1L oxaliplatin/fluoropyrimidine chemotherapy, will be randomized 1:1 to receive either avelumab maintenance therapy or continuation of 1L chemotherapy. The primary endpoints are overall survival and progression-free survival, and secondary endpoints include best overall response, quality of life measures, safety, and tumor biomarkers. Click on this link to enlarge the infographic. Written ByM Moehler, Min Hee Ryu, Mikhail Dvorkin et al.